The world’s only power-driven fencing staples. For use in Stockade ST-400 pneumatic stapler. Staples are single barbed, 9 gauge. The world’s only power-driven fencing staples. For use in Stockade ST-400 pneumatic stapler. 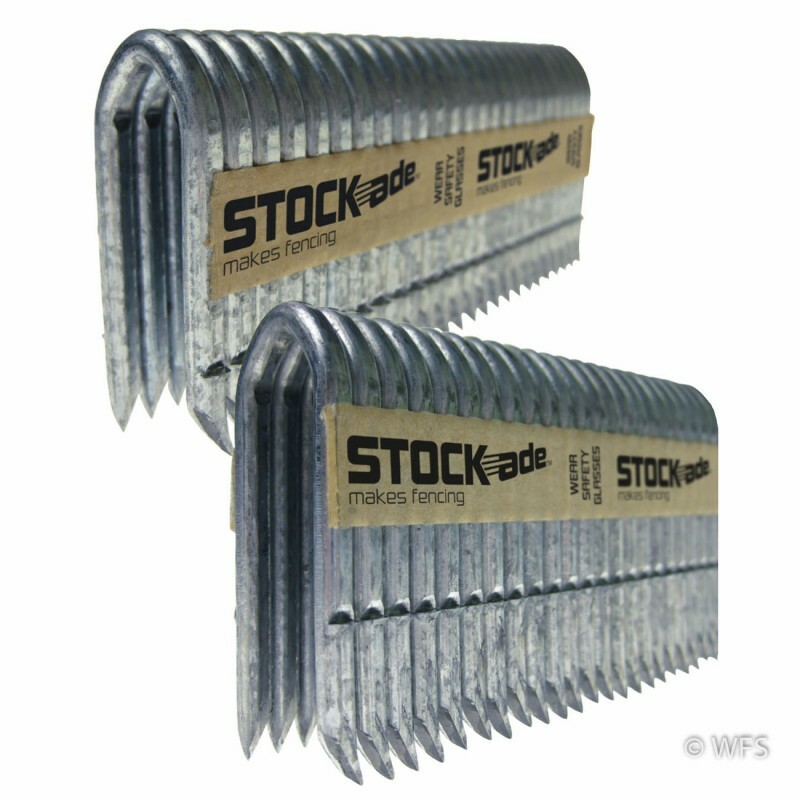 Staples are single barbed, 9 gauge, Class 3 galvanized, and 1.75" long.